Colorado Springs, Colorado. 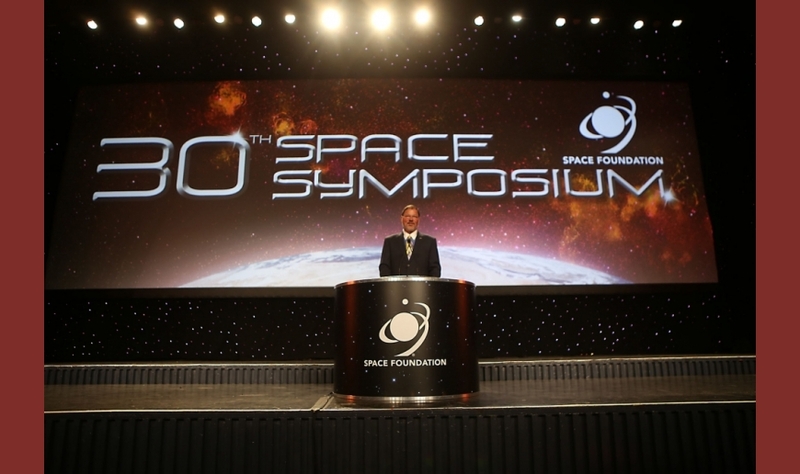 June 21, 2014 – The Space Foundation today announced that the 30th Space Symposium, held May 19-22, 2014, at The Broadmoor Hotel in Colorado Springs, set new records for participation. The Space Foundation reported that some 11,000 people participated in the 30th Space Symposium. Included in that number are 8,000 delegates and guests, and 3,000 vendors, volunteers and support staff. The numbers include representatives of more than 600 participating companies and organizations from 26 countries. At 11,000 participants, the Space Symposium is now the largest annual gathering of the space community anywhere in the world, and the largest annual citywide convention in Colorado Springs. The Space Foundation has held the Space Symposium at The Broadmoor every year since 1984. Attendees at that original event numbered barely 250 space enthusiasts, but a lineup of prominent speakers and an emphasis on bringing together all aspects of the space industry, have made it a premier event. The 31st Space Symposium is scheduled there for April 13-16, 2015.